NEW YORK (CelebrityAccess) — TV networks have been accused of gaming the rating systems by deliberately misspelling the names of their programs to avoid potential low ratings situations. According to the Wall Street Journal, NBC's premier “NBC Nightly News” program employed the technique to avoid a ratings hit on the Friday before Memorial Day weekend. According to the WSJ, the program was temporarily renamed as “NBC Nitely News," meaning that the program would be counted as a separate entity in Nielsen's ratings. The deception allowed the May 26 to dramatically improve the show to dramatically improve its average viewership for the week by not including the lowest rated night, and represents one of 14 instances of such spelling errors for NBC since the start of the 2016 fall television season, the WSJ said. Other major networks, including ABC and CBS, also use the spelling trick to avoid tough ratings nights. ABC has used “Wrld New Tonite” seven times during the 2016/2017 season while “CBS Evening Nws” has cropped up 12 times this season. 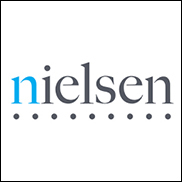 Nielsen indicated that it plans to hold a meeting with television execs over the practice. “If we find a network working in contrast to this agreed-upon policy, we address the issue in a direct fashion as a way to maintain fairness and balance for all of our clients and the industry as a whole,” a Nielsen rep told the WSJ.